﻿ What can mice climb? Mice are excellent climbers, and so it is very common to see them climbing on walls. They can climb vertically up the side of a house with no problem to gain access into someone’s attic. Mice are very creative when it comes to invading homes, and they use their climbing ability to their full advantage. 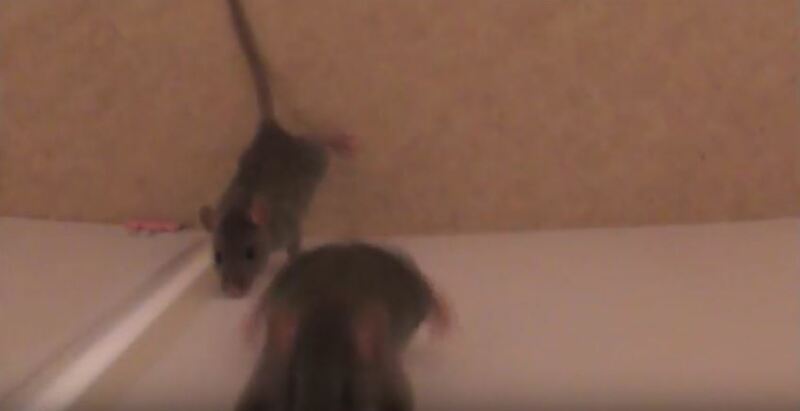 Their impressive speed of climbing and running and their ability to jump is part of their nature as rodents. They reach unexpected places and often surprise homeowners because they manage to invade almost any space within the home. It is important to know ways to keep them out of your hidden places. They have tiny claws that can stick to a surface as they climb on walls or other objects. They can also enter porous walls with their firm grip and excellent climbing skills. Since they can actually hold on to electrical cord, they climb it without worry. They have been known to climb around insulation, pipes, and everywhere within building structures. They nest and are quick in reproduction. When you see chewing signs on the rooftop or wires, this could be an indication that they have made your home their habitat. Once they gain access inside the home, there are numerous opportunities for them to use their climbing skills. They can jump across gaps as well. Hence, if your house has clutter, it is easy for them to travel around. Homeowners have to be aware of the fact that these mice are very clever. They are able to easily move through all kinds of spaces. It’s not every day that you will see them because they are as good at hiding as they are at climbing. Even without support from the ground, they can actually jump and climb. If you want to eliminate them from your home, make sure that you don’t accidentally assemble easy paths for them to jump or climb. They can grab mounted shelf edges and use it as a tool to climb higher. If mice do climb their way into your home, be sure to handle the problem as quickly as possible. Go back to the How to Get Rid of Mice page or email us if you have any other questions about What can mice climb?